The Forest Glade (103HOA) is located in the Tokai valley, a tranquil southern suburb of Cape Town. Mountains, wine farms and Golf courses surround Forest Glade. With many horse riding, hiking and mountain biking trails on its doorstep and the closest beach only 5 minutes away, Forest Glade is ideal for nature lovers and those seeking tranquility away from the buzz of city life. Great quality schools, restaurants, shopping centers and a Medi-Clinic and many other convenient facilities are all easily accessible. 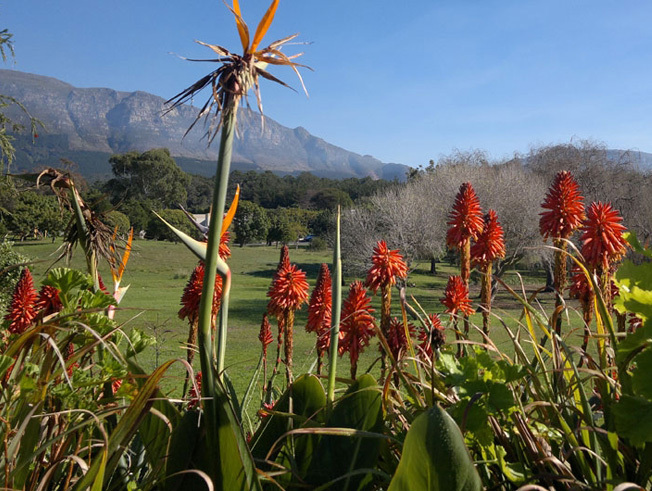 Forest Glade is a gated complex nestled at the foot of the Constantiaberg Mountains and under the watchful Elephant’s Eye. There are 103 semi-detached double-storey homes clustered into 5 hamlets.